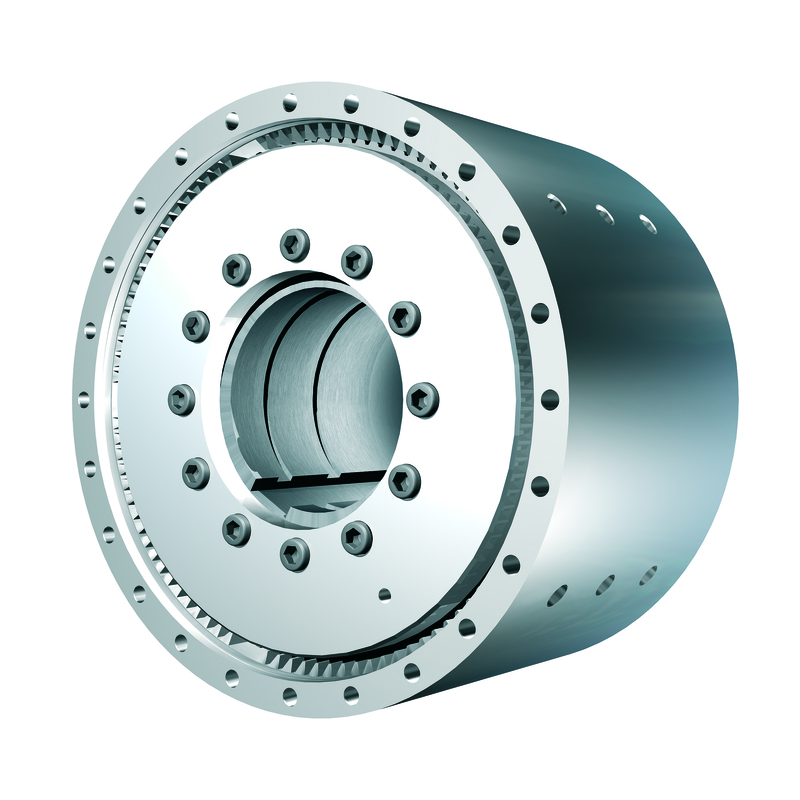 Ortlinghaus multiplate safety friction and torque limiting coupling clutches are permanently engaged, this condition being maintained by spring pressure. They are able to transmit torque up to a particular, pre-set level, after which in the case of an overload in the transmission, the friction clutches are designed, to slip for a limited period of time. These torque limiting coupling devices can thus be used to safeguard all types of transmission lines in machines and equipment from overloading and destruction. They have the task of smoothing out high torque peaks, at start ups, and during the operating of a line. This is done by the friction torque limiting coupling clutch plates slipping past each other for a short period of time when the desired maximum torque is reached. The torque at which a clutch starts to slip can be varied, within limits. In this way these friction clutches safeguard gear wheels, shafts and other drive elements from damage and thus guarantee operational reliability for an extended period of time; in this way they also help to prevent the need for repairs.It must be kept in mind that when the friction clutch is slipping, frictional heat is produced and released within the set of plates and that the permissible amount of heat is limited. This thermal loading must be kept within the required limit with the aid of a slip monitoring device, which would switch off the drive. This is necessary with fast running drives where the critical amount of heat is reached very rapidly when slipping commences. 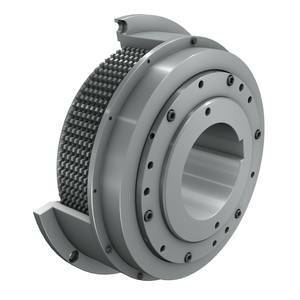 The friction combination selected can be steel/organic lining for dry-running, and steel/sintered lining for both dry-running and for wet-running, e.g in closed gearboxes. Friction clutches are available with torques from 9 Nm to 90,000 Nm. The torque at which a clutch starts to slip can be selected or set on each clutch within the range from maximum torque down to 60% of the maximum torque. The torque at which each clutch starts to slip is set initially in our works but can subsequently be adjusted at any time. This facility enables plate wear to be taken into account and changed transmission conditions compensated for. The inner hub of the friction clutch is normally located on the machine shaft with the aid of a keyway. 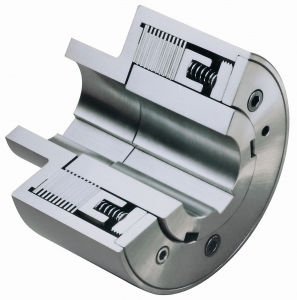 There are many different possible ways of connecting the outer housing of the clutch to the adjoining machine components.